They are your dad’s “African football? HA!” dream. The perpetually dysfunctional team of Africa, mired in a miasma of maladministration, but here they come again, against all odds. Since 2002 the Sparrow Hawks of Togo have had a pattern of qualifying for an AFCON, missing the next edition, then qualifying again. After qualifying for AFCON 2013, and missing out in 2015, Adebayor and his mandem will be back in Gabon to continue their fine tradition. They just about made it this time. 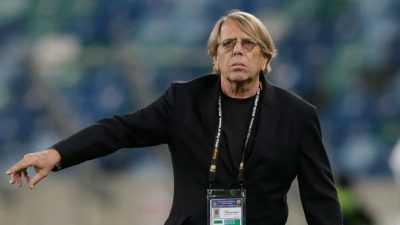 Apt for a team coached by the legendary Claude Le Roy, the man known as The White Witchdoctor for his miraculous achievements, they took the final ticket to Gabon. Runners-up to Tunisia in their group, they finished as one of the two best runners-up, behind Uganda, and pipped Benin and Ethiopia on goal difference, thanks to their thrashing of Djibouti, to the second slot. They can count themselves very lucky to be in Gabon. Then again, they are coached by the Le Roy. The sexagenarian is used to attending AFCONs to the point of entitlement: he is set to make his ninth AFCON appearance with a sixth different team. It was the composition of the Togo squad which attracted Le Roy to the role. After appointment he quickly sought the key individuals, including Emmanuel Adebayor and Kossi Agassa, convincing them to make a U-turn on their exiles and commit to the cause. The Frenchman commands respects, is typically demanding of the federations that employ him, and there have been no murmurs of discontent as of yet. For all the tournament appearances that current cohort of Togo players has managed to steer their nation successfully to, they have yet to go on a memorable tournament run. Never mind a run, there hasn’t been a lot of good results. Only the 1-0 win over Algeria in 2013 lingers in the memory but that was undone by a quarter-final exit at the hands of Burkina Faso. Luckily for them, they have the pluperfect wearied and wily coach that they badly needed to regroup and attempt to make one final splash as some key members of the squad approach their footballing dotage. Typically for a Le Roy side, the emphasis is on a conservative team shape from back to front. There won’t be much in the way of creativity through the centre in their 4-5-1 formation; they will look to get the ball out wide or to the advanced Adebayor, who is a selfless provider, and get runners beyond him; Serge Gakpe and Floyd Ayite are willing runners and can chip in with goals. In accordance with their recent past, Togo also continue to be a threat from set-pieces, particular corners; centre-back Vincent Bossou and Adebayor will pose aerial problems to any team in the tournament. Experienced nucleus – Le Roy has Adebayor and goalkeeper Agassa, two of the best African players of the last decade, at his disposal. They are, of course, on the wane and currently without cubs, but they are still footballers of top-level quality. Alaixys Romao, formerly of Marseille and now of Olympiacos, also won’t be overawed by the continental stage. There’s also Fulham’s Floyd Ayite, Serge Gakpe, Abdoul-Gafar Mamah, a veteran from AFCON 2002, and Serge Akakpo in the team. It means Le Roy has a cadre of competent, trusted lieutenants in each area of the field. Lacking strength in depth – Nowhere is this issue more apparent than up front where Adebayor has led the forward line for more than a decade. The lack of good alternatives in other positions is also a worry for Le Roy if other members of the experienced spine are injured. The players with a dose of quality will have to play well, the options on the bench are highly unlikely to change games for the better. Emmanuel Adebayor – Not just seeking to do as well as he can for his country, but also playing for a move. Adebayor is usually at his best when he has a point to prove, but, at 32, he’s not getting any younger. Still, he is as important to Togo as he has ever been. Kossi Agassa – Arguably as important to Togo as Adebayor is, but much of the limelight is stolen by the striker. One of the best African goalkeepers of the past decade, the laconic Kossi ‘Safe Hands’ Agassa lets his hands do the talking, and they will have to be at their firmest for his team to progress from this group. Claude Le Roy – Although he was a popular pundit on French TV channel Canal+ in the late 1990s, it is his work on the continent that he is known for. A textbook example of how a foreign coach should operate, and conduct themselves, in Africa, the 69-year-old has been coaching in the continent since 1985, when Cameroon excelled under his watch. Togo snuck into the tournament as the second best second–placed team in qualifying. This was aided by whooping up on tiny Djibouti with 2 wins and a +7 goal differential. Mired in mediocrity for a couple years, the Sparrow Hawks turned things around in the second half of 2016, tallying 14 goals in their final 7 matches and scoring in each of those. Togo has really struggled against strong competition. It hasn’t been since AFCON 2013 that Togo has defeated a top 65 team. Additionally, since that victory over Algeria, Togo has just 2 wins from 15 matches away from home. Couple the poor performance against good sides with a very tough group, and Togo has the lowest point projection in the group stage of any team in the tournament at 2.20. With just a 19.4% chance to advance, Togo’s odds drop even further to just 0.52% to be crowned champions for the first time. They have never reached the semi-finals. At 192 to 1, Togo has the longest odds on our board of winning AFCON 2017. Group Stage exit – Togo are likely To Go home early. They have the miracle man they need at the helm but they are in the more unforgiving half of the draw.